D.C. Maryland and Virginia medical malpractice, accidents and work injuries questions answered by D.C. injury attorneys. Here are some of the questions people have when they first contact us about D.C., Maryland and Virginia medical malpractice, serious car accidents or workers compensation. We try to provide as much information as we can based on our experience as medical malpractice lawyers in D.C., Maryland and Virginia and based on representing many hundreds of people who have been injured in accidents or at work in D.C., Maryland and Virginia. Patients permanently injured by medical malpractice, or the families of patients killed because of medical negligence, when a hospital, HMO or healthcare corporation doesn't follow basic patient safety rules deserve justice - resources to help with the harms and losses due to the injuries or death of their loved one. Drivers who don't follow the rules of the road, driving recklessly, driving drunk, speeding, and texting should be accountable for the harm they cause when their actions cause a car accident or wreck. Workers hurt on the job deserve workers compensation benefits for lost wages, medical treatment and permanent injuries. If a worker is killed on the job, his family deserves workers compensation death benefits - to at least help with the financial loss of a loved one. But since every person is unique, if you have questions or need information about an injury or death in your family, please contact us to talk it through. We'll talk to you, schedule a free initial meeting and give you all the information we can. What Medical Records Do I Need for My Workers Comp Case? Here at Donahoe Kearney we get a lot of calls from people who want us to review their case - which is fantastic because that is what we like to do. However sometimes its just not clear what you need - and this can be a really stressful time for you if you're seriously hurt and worried about your future, your medical treatment and your finances, we totally get that. Because let's face it - you've never been injured like this before, never been through the DC workers comp system and you might now know the difference between a treating physician and a specialist and a pain management doctor. And this is simply because you've never been here before! In any injury case it's always the most important thing to get your medical treatment. Some people might be tempted to wait until their treatment is authorized (in a workers' comp case or sometimes in a car accident). However, if you have personal insurance or can pay on your own you need to use it in order to get the treatment you need. The strongest case that we can build is one with strong medical treatment and strong support, through the medical records, for your case. This is because a lot of times, especially in a workers' comp case, the insurance company will deny the case simply because they don't have medical records and so they will deny the case as a matter of course, to test and see whether or not the injured worker will challenge the decision. Here's an example of the medical records request form that we use here at Donahoe Kearney to keep track of your medical treatment - and this is for all types of injury cases in Washington DC, Maryland, and Virginia, but it's especially helpful for you if you get hurt at work in DC and are in the workers comp system. You better believe your workers comp insurance adjuster is tracking everything! Especially with her team of nurses, doctors, investigators and lawyers working for the insurance company and against you (whether you know it or not). To ensure your medical records are completely up to date, please answer the below questions. Please email the completed document to me at [email protected]. Should you have any questions, please call us at 202-393-3320. Thank you! Would you please confirm your current treating physician? When did you last see this doctor? When is your next appointment scheduled? When did you last send us your records? Are you seeing a separate doctor for pain management? Are you seeing any other specialists? Generally speaking the "Treating Physician" is the doctor that you are seeing every month and is more or less the hub of your medical treatment. A general physician, a specialist, and a pain management physician can all be treating physicians so long as that particular person is your "main" doctor. And you can have all three and they can be different doctors - it just depends upon your injury and the complexity of your injury. If we are investigating your case, we want to know who are your doctors, when you last saw them, do you have a work note, and do you have your supporting progress notes. That will help us determine the medical aspects of your case, and see if we can give you specific advice and/or potentially take your case. Are you knee-deep in medical records from a serious injury and not sure which doctors and important, where your case is legally, and what to do next? You should probably focus on your recovery and let us take care of everything else for you. Give us a call today at 202-393-3320 and you'll speak to a real person who wants to hear your story - and hopefully can help! Why Should I Review My Auto Insurance Policy? WHY SHOULD I REVIEW MY AUTO INSURANCE POLICY? BECAUSE, IT'S THE GROWN-UP THING TO DO. I don't know about you, but nobody ever explained to me the different parts of an auto insurance policy, the parts that I needed, the parts that were optional, and how it all plays out if I'm in an accident. Once, when I had just purchased a used car, I drove off with it for the first time and promptly ran right into someone merging on the highway in Florida. It was totally my fault - I was driving distractedly. Even then, I wasn't educated on the different parts of my auto policy, and would have had no way of knowing whether or not I was getting a good deal for my total car replacement. And I would have never thought to inquire that the coverage I was carrying would be sufficient to cover the medical expenses of someone who was seriously injured. I was also 19 years old, so don't hold that against me......and thankfully the woman that I hit was okay physically. But, this is not always the case. So here's your crash course in how car insurance works. Obviously, the laws are different here in Washington, DC but the basic premises are the same. The car that caused the accident is responsible for all of the damage, including the medical expenses of the person that's been hit. Liability Insurance is the total amount that your insurance carrier will cover if you cause an accident. It usually fleshes out in three numbers: 100/300/50. This works out to $100,000.00 per person for injuries, $300,000.00 for injuries total per accident, and $50,000.00 property damage per accident. This is a common coverage structure. Liability Insurance is also meant to protect you from being sued personally for an accident that you cause. Generally speaking, the amount of coverage you purchase should be enough to cover the assets you are set to lose if you do end up getting sued personally. So, you'd better carry enough. Each state has mandates for liability insurance -and this is total BS because in the DMV it's only $25,000.00. Which is a drop in the bucket if you are seriously injured. You'd better believe that if you are in a serious accident and the foreseeable expenses exceed those numbers, the insurance adjuster will be on the phone with you immediately, trying to get you to settle out before you know the full extent of the damages. Resist the urge to trust them - and call us at 202-393-3320. Liability coverage is also sometimes called bodily injury protection. Now, let's say that you are Joe Responsible and you are carrying the 100/300/50 type of liability insurance. That's great -- but not everyone on the road is as conscientious as you. So you're on the Beltway, going the speed limit, not checking your phone, listening to an audio book and someone else rams you from behind and causes you to ram into the car in front of you. You can't control how other people drive, and now you have a serious back and neck injury, concussion, and require surgery. Worse, you have a physically demanding job and you can't go back to work for at least six months. This really stinks - someone else's terrible driving (maybe the 19 year-old version of me) just ruined your day, your month, maybe even your year. And that 19-year old has no idea what car insurance coverages he or she has while she was jamming to the radio, checking her phone, and reaching for her coffee. (Yep - busted). Her $25,000.00 policy is going to be chump change when it comes to the medical treatment you require, your lost wages, and attorney's fees. This is why you carry Uninsured Motorist (UM) or Underinsured Motorist Insurance (UIM). This is also why you carry Personal Injury Protection Insurance (PIP). These two types of coverage are going to step in and make sure you are cared for if the person who hit you has the minimum insurance coverages, or worse, no coverage at all. Yes, we do see people who have been in a hit-and-run accident and then it becomes a criminal matter. There's nothing you can do if the person gets away. You have to decide the level of UIM or UM coverage that you want, but it should be at least the amount that you are carrying in liability coverage because your liability carrier is not going to cover an accident that was someone else's fault. Additionally some people carry Personal Injury Protection insurance which is a no-fault type of coverage that will generally cover medical bills and lost wages. Your insurance company might have additional coverage options, like MedPay (another no-fault type of medical coverage). So I know you're like - with this information, I'm on top of this. Why would I need to call a lawyer? I'm so glad you asked. I like the call this the terrible three's - liens, bills, and subrogation. While you are navigating the world of medical treatment, you may blithely assume that your insurance adjuster is going to deal fairly with your compensation. And if you're not keeping careful track of your bills, and lost wages, you may find that the offer the adjuster is making sounds pretty good. But what sounds good for the moment may not be the right thing for you in the long haul, which is hard to see when you're in the thick of it. That's where we come in. For our clients, we deal with the insurance adjuster (and for car accidents there are usually multiple adjusters - one per policy). We keep track of your medical records and bills, and we know exactly how much your personal insurance company is going to come back to you for when the settlement starts to close out. This is called subrogation. Just a couple of weeks ago I spoke to someone who'd had a major injury after an accident on the Bay Bridge, and his personal health insurance company was trying to get him to settle for a reduced amount before the settlement had become final. You'd better believe that was a calculated move- they wanted to make sure that they got their money, and they were trying to manipulate a seriously injured guy who didn't realize that the personal insurance company doesn't even have a legal right to their "share" before the settlement becomes final. What the personal insurance carrier has is called a lien, which is a financial interest in the recovery because the accident was actually caused by someone else. This is how the insurance industry works. In spite of the fact that the injured guy had been paying into his insurance premiums for years. the insurance company is still entitled to a recovery from the settlement because the accident was caused by someone else. Want to learn more about how it works to have an attorney in a serious auto accident case? You won't be sorry - we only take cases where we add value, so you have nothing to lose. Call us today at 202-393-3320. What Happens if I Have A Workers' Comp Claim and a Car Accident Settlement at the Same Time? Can you have a workers' compensation claim in DC at the same time as a automobile insurance claim? The answer is YES. In fact, we've seen it happen more than once. For all of those people who drive as a part of their job yes - you could potentially have simultaneous auto insurance claims and workers' compensation claims. No need to fret. It's just a matter of managing 2 cases at the same time, with different rules, time restrictions and insurance policies - which is just a part of what we do at Donahoe Kearney when we representing an injured worker whose injuries were caused by someone else or another company. 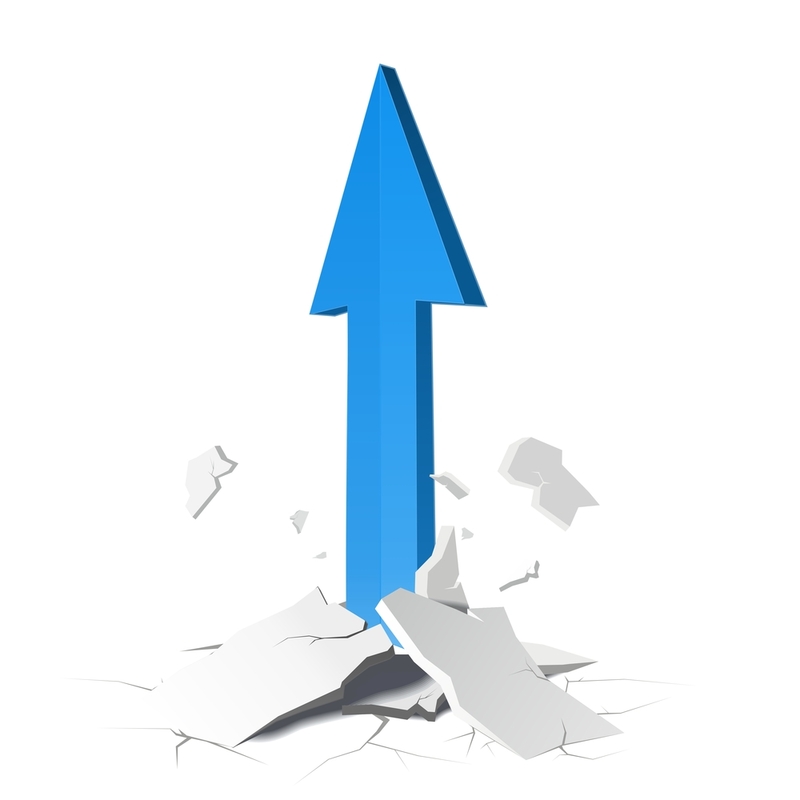 We can also manage a workers' compensation claim and a third-party claim at the same time. Take, for example, a construction worker who was injured on the job site, so he/she is entitled to a workers' comp claim. But let's say, at the same time, a third-party, like another contractor, was responsible for the accident. Well then you have two claims and you may be entitled to two separate settlements. It's complicated because there is overlap between the 2 cases, but that's why you come here! We do everything we can to maximize both cases to take care of you financially after a serious accident at work caused by someone else - another driver, a different company, a contractor, you name it. Do you have multiple claims and you are not sure where to start? Give us a call at 202-393-3320 to speak to someone who wants to hear your story. 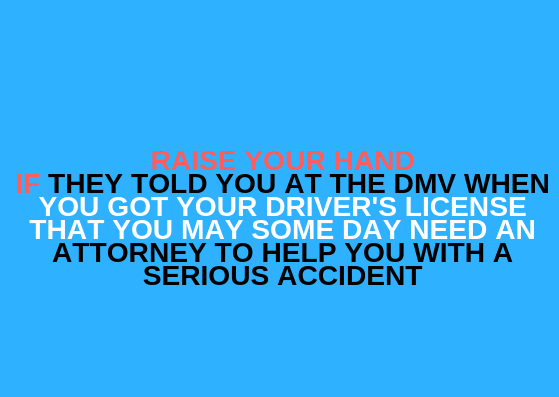 Why Would I need a Lawyer After an Accident in D.C., Maryland or Virginia? Huh? That's not what you expecting me to say, right? Here's the thing: one of the hallmarks of our practice is that we don't pretend like you need a lawyer when you really don't. If you're in a fender bender, you have minor injuries, and you're back to work, then you probably don't need a lawyer. In our view, people need lawyers for car accidents when they are devastated by a serious car accident, they need surgery, can't work for a long time, have permanent injuries and other legal issues - like multiple, complicated insurance policies to deal with. You know those three-car crashes where the cars are totaled, that happen too frequently on the beltway? Those people probably need lawyers. There are all kinds of things that can go wrong in a serious car accident, after the fact. One glaring example is if the person who put you in the hospital doesn't have enough insurance to cover your medical treatment. Yes, we see that happen more often than we would like. Car insurance policies are kind of like onions - at least they can and they should be if you are interested in being fully covered in case you're in an accident. In addition to being robustly covered by liability and bodily coverages in your policy, it's also very smart to carry underinsured motorist coverage (UIM) and uninsured motorist coverage (UM) as well as medical payments coverage - which will take care of you if you are hit by somebody who carries the minimum (25k) or worse, none at all. You want to be in the situation where the longer you are treating for your accident-related injuries, the more the insurance policies and coverage come out of the woodwork to offer you more money to cover your medical treatment, lost wages, and pain and suffering. We talk about UIM and UM coverage all the time because let's face it- it's heartbreaking to see someone physically and emotionally devastated by someone else's reckless driving only to discover that they will be responsible for thousands and thousands of dollars worth of medical expenses because the other driver only carried the minimum. So, to answer the original question - do you need a lawyer for your accident case? The answer is, it depends. And if you're not sure, give us a call at 202-393-3320 and we will be happy to answer your questions and provide you with some free resources that can help you make that decision. Want to learn more? I hope so. Click here to begin to ask the big questions - the questions that really matter if you are in a serious car accident. And give us a call at 202-393-3320 to speak to a real person who wants to hear your story today. Why would you call my insurance company after I was hurt in a car accident that was the other driver's fault? First, you shouldn't talk to the other driver's insurance company after a serious injury - in our experience, people just aren't ready to do that right away (so we do that for them!). But why would we call your insurance company if the accident was the other driver's fault? We've all heard that the other drivers insurance should take care of us if he causes the accident - pay for our medical expenses, lost income, damage to the car and our other harms and losses he caused - and that's all true. And may be easy enough to do if the injuries are not serious. But I'm talking about a serious, life threatening injury caused by another driver, where you need surgery, hospitalization, rehab and ongoing medical treatment and can't go to work until your injuries heal. And the issue we see with those kinds of serious injury cases is sometimes one you don't want to hear - that the driver who hit you, who caused the crash and admitted fault, got a ticket, was found responsible - he doesn't have very much insurance coverage. You see, it's perfectly legal to drive with car insurance limits of $25,000 or $30,000 in this area. That means, no matter how serious the accident and injuries in the DC, Maryland or Virginia, that is all his insurance company will ever pay you. It doesn't matter if your bills are $200,000 or you need several surgeries, years of rehab or can never return to work. And as a lawyer who wants to help people, this is one of the hardest things to tell you. But if you have uninsured and underinsured motorist coverage, you will be protected against that driver (and if you don't have this or don't know, call your insurance company and get it added to your policy). That insurance coverage is there to protect you and your family - it takes the place of the limited insurance the driver who hit you has. So that's one of the first things we investigate for you - the insurance coverage - and one of the first calls we make is to your insurance company to verify the amount of uninsured/underinsured motorist coverage you have. I don't recommend you talk to the insurance company right away - at least until you talk to us or read one of our free guides, books or reports on serious accidents, so you know how the system works. And if you think we're right for you, just call us at (202) 393 - 3320. If we work with you, we'll tell you to focus on your rehab and getting better and we'll take care of the rest for you - we take away the anxiety, stress and uncertainty while you bet better. How Often is Cerebral Palsy Preventable? 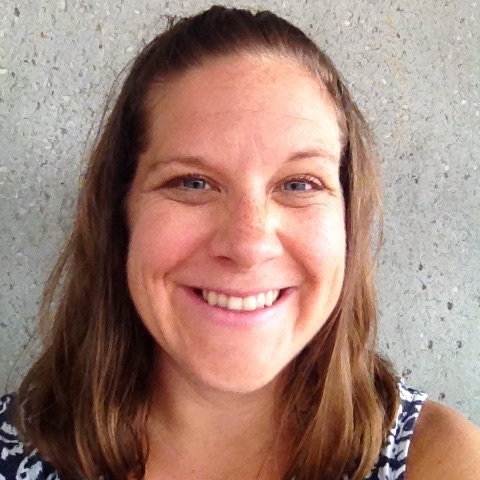 Could My Child's Cerebral Palsy Have Been Prevented in DC, Maryland or Virginia? This is an excellent question considering how devastating cerebral palsy is to a child, and sometimes it is due to complications during labor and delivery, or as a complication of premature birth. Usually, cerebral palsy occurs around the time of birth. Sometimes cerebral palsy can be caused by complications from jaundice, infection and other medical issues the newborn baby has. According to the Cerebral Palsy Group, Cerebral Palsy affects approximately 500,000 children and adults, with around 8,000 babies and between 1,200 and 1,500 preschool-age children diagnosed each year. Cerebral Palsy is essentially brain damage to a certain part of the brain that can occur as the child develops in the womb, during childbirth due to asphyxia, and in a few other ways. The damage is to the motor cortex of the brain and results in difficulty with gross and fine motor skills development, balance, speech, muscle tone, and other types of development. Cases of Cerebral Palsy range from mild to severe; some children with Cerebral Palsy grow up to be completely self-sufficient while some need 24/7 care now, and will need it for their whole lives - long after their parents are gone. In our experience, Cerebral Palsy can be preventable, and because of that, can lead to a medical malpractice lawsuit against the hospital that caused the injuries, to make up for some of the financial harms and losses the baby will suffer. Medical malpractice in D.C. happens because the hospital or doctors did not comply with the standard medical care the mom or baby needed, and failed to follow established Patient Safety Rules. In this case that we won, we sued a doctor for failing to follow up on a routine test, which resulted in prematurity and Cerebral Palsy with mental retardation that could have been prevented if he had simply gotten the test results and treated the infection with antibiotics - without the test result, they never ordered antibiotics, and the infection spread, causing the mom to deliver prematurely. There was no system for making sure important medical test results were followed up on. We won a significant award for a family who would likely spend millions on their son's lifetime costs of round-the-clock care because of his cerebral palsy. That case made a significant impact on the family - the right house that was accessible for their son and comfortable for their family, the best care for their son, extra nursing care when he needs it, easy transportation, and a lot more. For more information about Cerebral Palsy visit our Cerebral Palsy library AND if you're ready to talk about how to start the process of investigating a medical malpractice case for your child, Give us a call at 202-393-3320. You'll speak with a real person who wants to hear your story today. DC Medical malpractice lawyer explains Cerebral Palsy is a movement disorder caused by an injury or abnormality of the brain, usually around the time of birth. cases of cerebral palsy in DC, Maryland, and Virginia can be diagnosed anywhere from as early as 2 years old to as late as 10 years old. My son has Cerebral Palsy. I live in DC and I think it was caused by malpractice. What do I do next to help my son with cerebral palsy? 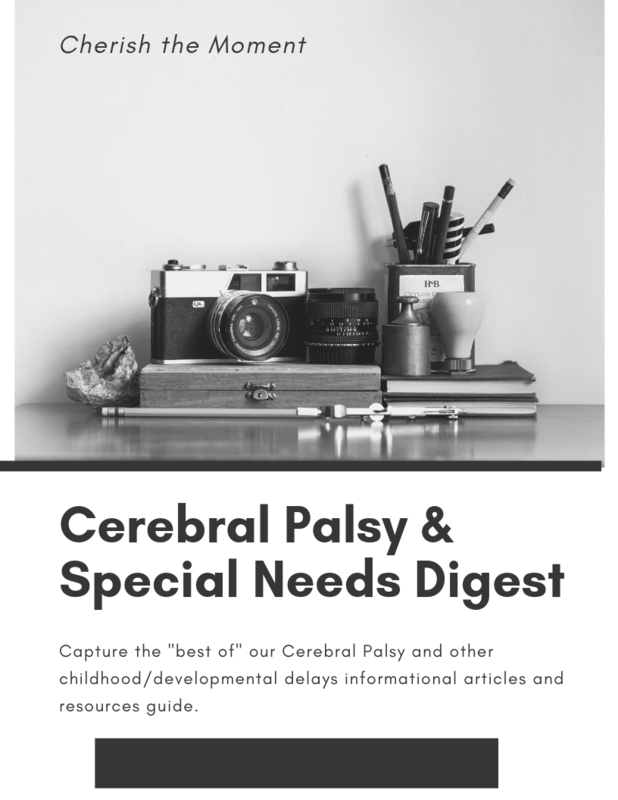 What is the cause of my child's cerebral palsy?” We hear this question quite often, since we represent many families with children suffering from cerebral pals. When Does Cerebral Palsy Start to Show? Cerebral Palsy is a condition resulting from lack of oxygen to the brain during birth, called asphyxia. Although you may have awareness of having a traumatic birth, you may not even know that your child has Cerebral Palsy until he or she is one or two or three years, and even five years old. Sometimes even later. If there was a traumatic birth the doctors should (but most of the time don't) make you aware of the risk of Cerebral Palsy. The reason for this is because many times, traumatic birth is a result of malpractice - many times you and the baby showed signs of distress, both maternal (mom) and fetal (baby) and the doctors at the hospital didn't take action to deliver the baby until it was too late and the damage was done. And a lot of times, we see interns and residents taking care of labor and delivery patients in DC hospitals - sometimes they don't know when to call the attending physician or a specialist to evaluate you and the baby. Diagnosis of Cerebral Palsy usually comes after you and your child's doctor (pediatrician) begin to notice that your child is not reaching his or her developmental benchmarks or milestones. In some cases, it is diagnosed in the NICU when the baby is very young. Other impairments include loss of muscle tone, gross and fine motor functions, balance, control, coordination, reflexes, and posture. Today I read on a Facebook post that a family didn't know their child had Cerebral Palsy until he was 10 years old. We've had a case where the mom knew her son had cerebral palsy but the hospital never told her the cause, even though he got all of his medical care there. The time limits vary in DC, Maryland and Virginia for bringing a case for a child who was injured or has cerebral palsy, but the time limits are longer for children than adults, so don't think that you have run out of time - call us and we can tell you how much time you have left on the statute of limitations. At Donahoe Kearney we specialize in Cerebral Palsy cases, so we know exactly what to look for in medical records, exactly which developmental delays to watch for, and how to manage opposing doctors, lawyers, and others who are protecting the interests of the hospital and its insurance company. Give us a call today for a free investigation and to learn more about our process. I'm on short-term disability: should I switch to workers' comp? Sometimes the world of employment law and the world of workers' compensation law get confused, and it doesn't help that employers (meaning, your human resources department) like to tell you that rather than filing a workers' compensation claim you should use your 1) sick leave; 2) FMLA leave; 3) PTO; 4): short-term disability and/or a combination of all of the above. Why? Well, I'm so glad you asked. Why do you think your employer might be hesitant to open a workers' comp claim? Because workers' comp is the only insurance and/or system out of those four options that is paid for 100% by the employer (through their workers compensation insurance). No co-insurances, monthly check deductions, or "time banks." Workers' compensation insurance is required by law for anyone with three or more employees and employees don't pay into it. This is what makes it different than say, short-term disability (which the employee usually pays into themselves through paycheck deductions). Or sick leave, or FMLA leave, or PTO (which all end at some point when you've used up your bank or expired your federal time limit). And many of those have exclusions for injuries that happen at work. We hear all the time from clients "My employer said that I had to use my sick leave" or "I've been out on FMLA." If you were injured while working, this should absolutely not be the case. But because most workers don't know their rights they follow the instructions their company gives them. After all, they will take care of you, right? We have also heard stories about how the worker was convinced the employer would take care of him, they have been working for them for 25 years, etc, etc. And your boss, your supervisor, even the owner of your company may want to do just that. We hate to be the bearers of bad news but once you are injured at work, your employer is essentially turning you over to the insurance company and their entire team of nurses, doctors, attorneys, and claim administrators all trained to limit your benefits. So, if you are on one of those other types of insurances, can you switch to workers' comp? It all depends. If you have been on FMLA or Disability for a long time, you may have issues with bringing a workers' compensation case. One of the critical parts of a workers' comp claim in Washington, DC is that you have to have your treating physician connect the injury to your work, and another critical part is that you have to give timely notice to your employer of a work injury. Do you want more information on how this works? Call us today at 202-393-3320 and you will speak with a real person who wants to hear your story. 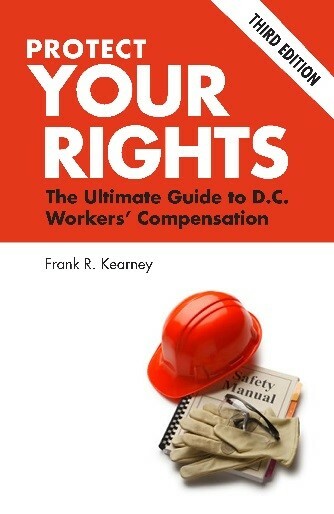 Do that, and order a copy of our free book on workers' compensation that will give you the A-Z on workers' compensation in Washington, DC so you can learn about the process before you make case-ending mistakes.